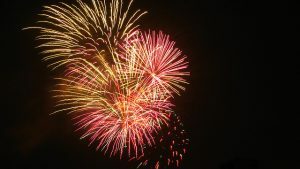 However, the fireworks were planned for June 30, which falls into the 2018 fiscal year, and the appropriation was for the 2019 fiscal year, which begins the next day, on July 1. So the Selectboard at its June 5 meeting concluded that the $2,000 appropriation could not legally be used for this year’s fireworks. (And, it was not possible to reschedule the picnic and fireworks into July, because the fireworks company is booked solid then.) This leaves the town in need of $2,000-$3,000 from other sources, or the fireworks will have to be canceled. To fill the gap, Vernon resident Hannah Gantt is leading an effort to appeal for donations. Anyone wishing to donate should bring cash or checks (made out to the Town of Vernon) to the treasurer’s office (or town clerk) at the Town Office Building. The treasurer’s hours are Monday through Thursday 6 a.m. to 4 p.m.; the town clerk’s office is open till 5 p.m. those days. The office is closed on Fridays. Donations can also be mailed to the Vernon Town Treasurer, 567 Governor Hunt Rd., Vernon, VT 05354. Donations will also be collected at the picnic and at the fireworks event, with any extra money being applied to the 2019 fireworks. Photo by Tony Gumbel. Used under Creative Commons License. Have the fireworks been saved? It would be an ironic shame if a technicality such as a fiscal year start date kept people from celebrating Independence.